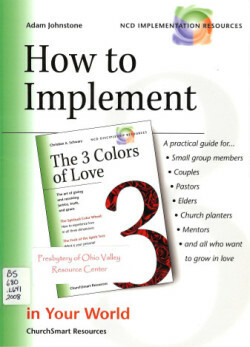 This handbook assists church leaders (such as pastors, elders, or small group leaders) in the implementation of ‘loving relationships,’ as described in the book, The 3 Colors of Love. At the same time, it has been designed in a way that it can be used by individual church members, by married couples, in a personal mentoring relationship, or even outside of the church context. It relates to priciples presented in The 3 Colors of Love to a practical, six week process for growing in love.